High Plains Sophia is the daughter of Black Mesquite's Palladium. Palladium has given High Plains many Champons including Black and Bronw, his black son Maximo has been sold to Austria along with other High Plains Supreme Champion. 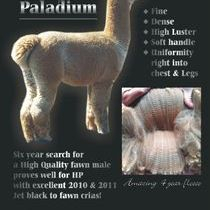 Sophia shows off her solid conformation and bright brown fleece, traits Palladium is known for. 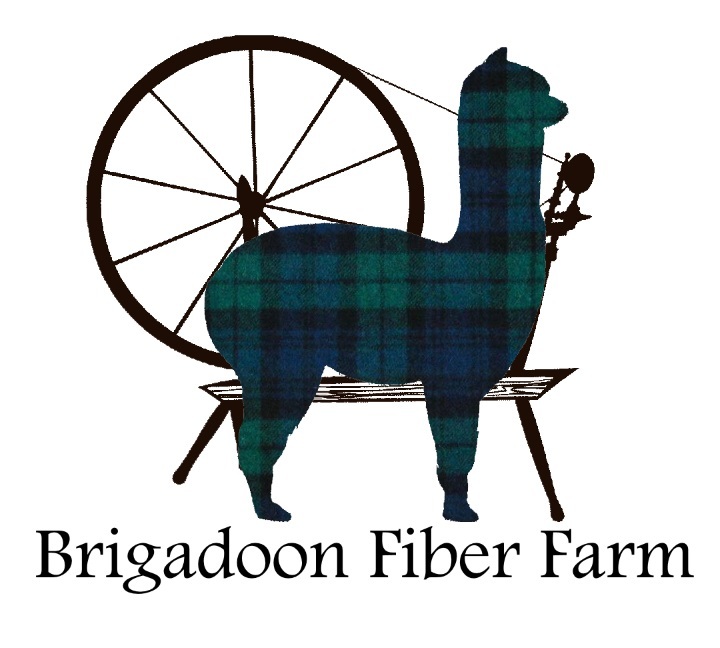 She has the right genetics to take a breeding program higher and she is bred to the Super Sam line, 5x champion HP Bravero, this conbination should yield a superb cria. 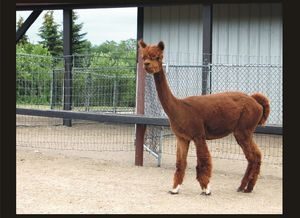 This super Sam line Brown male is from the record show winning super same genetics, having more Supreme Champions and get of sire wins than any other genetic line in Canadian History. 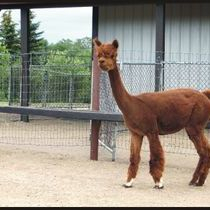 Sophia is a great mom and raises lovely, strong cria. 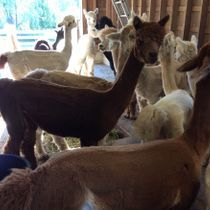 Her cria carry on her fine coat and lovely, inquisitive temperment. Bravero has given fawn, brown, black and grey offspring - all are stunning. 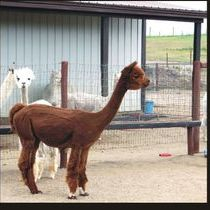 Sophia should produce one of these amazing cria! Fine - Uniform - Great Staple Length - Perfect frame - Coverage.